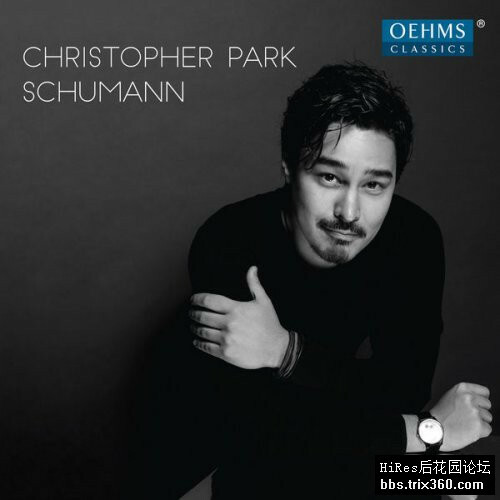 Christopher Park is a pianist who captivates with his fascinating technical mastery, astounding musical maturity, and a particularly intense performance style- this was the explanation given by the jury at the Stiftung Schleswig-Holstein Music Festival upon awarding Christopher Park the renowned Leonard Bernstein Award 2014. He thereby joined the ranks of noteworthy musicians such as Lang Lang, Lisa Batiashvili and Martin Grubinger, who all started their careers with this internationally sought-after award. He has been chosen as “Rising Star” by the European Concert Hall Organization, and has debuted in Europe’s renowned concert halls in London, Amsterdam, Hamburg, Vienna, Stockholm, and others. The present album features a pure Schumann program. It is a musical bouquet, suitable for the beginning of spring, which includes the rarely heard Scherzo which belongs to the Concerto, op. 14.